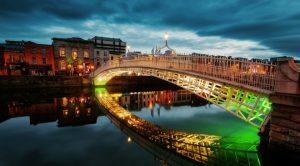 The number of Irish people who deal with problem gambling is increasing every day, but unfortunately, the exact number remains unknown for the time being. As Casino Guardian previously reported, the fact that there is not enough official data on the matter is not of much of a help. In 2017, experts from H2 Gambling Capital reported that Ireland has third highest gambling losses on a global scale per capita, with local residents spending the shocking amount of €2.2 billion, which is about €470 per capita, on an annual basis. As revealed by the study, there are many problem gamblers who lose a massive amount of money every year in Ireland. According to data of Ireland’s Health Service Executive (HSE), only 800 got professional treatment for a gambling addiction over the last three years. However, their actual number remains unknown. Problem Gambling Ireland, however, an organisation which is focused on tackling the possible harm inflicted by gambling, has pointed out that they had 100,000 unique visitors to their online site during the last three years alone. 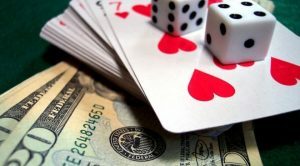 What problem gambling experts are unanimous about is the fact that local regulatory authorities must take the necessary action in order to tackle the problem. Still, they have to first make sure they have enough information about the actual scale of the issue. As explained by specialists, problem gambling is a health issue because of which the individual affected feels a constant urge to gamble, in spite of the fact they wish to stop or the possible negative effect it could have on their life. Louise O’Reilly, a member of the Irish Sinn Féin party and a Teachta Dála for the Dublin Fingal constituency, has explained that the gambling crisis in Ireland should not be ignored any more. She reminded that gambling advertising available on TV at the time of live football matches, with odds about different bets being displayed during live events. Ms O’Reilly further noted that the local football league has a gambling operator as a sponsor, and the main matches take place in a stadium which had also been named after a gambling brand, and the two teams are also sponsored by a gambling operator. Ms O’Reilly also confirmed that the authorities do not have the exact data regarding the number of problem gamblers in the country because the Irish Government still refuses to commission a survey that would provide the watchdog with the chance to get more information on the matter. [Gambling Addiction]Will NH bet on sports gambling?